Coffe is very active from the puppy. She loves any movement and is very lively. Absolutely fascinating for her is agility. Barriers jumps with enthusiasm, quickly and with great drive. She is able to sit with them all day just so she could jump. 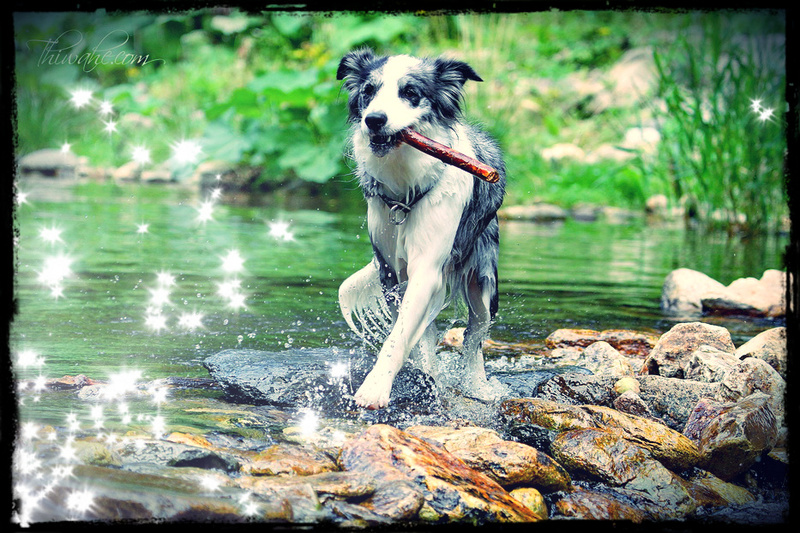 In dogfrisbee is fast, accurate and retrieving disk with pleasure. She loves also dragging. On the walks she sprints alone and running she downright enjoys. 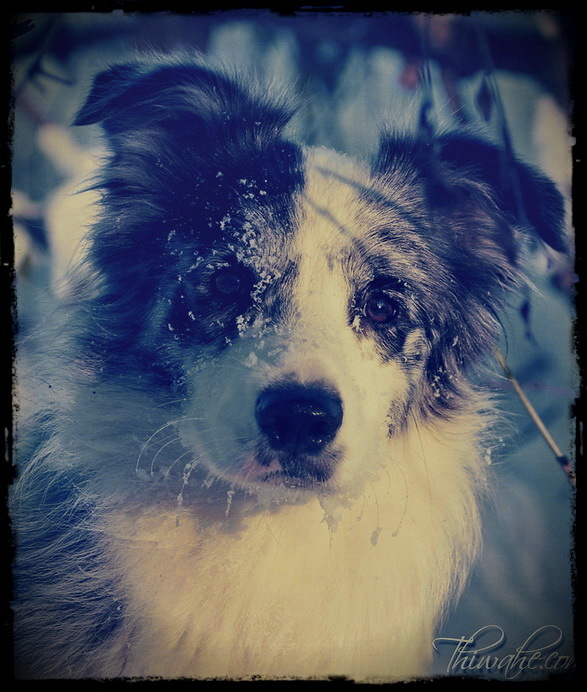 Coffe is nice, disciplined and highly intelligent Border Collie. It's just a real princess. Dogs for friendship she chooses, and then to those is really very friendly. She is gentle and very careful. Coffee openly expresses her mood. It is easy to recognize when she is tired of something and then she looks like the poor boy. During the activities she is laugh and cheerful, literally full of energy. She enjoys absolutely every activity ... especially if something going on. She loves water and is able to entertain herself. She has a great appetite and loves vegetables. Among other her activities she is an excellent gardener and does not miss any homework ... simply our assistant. Coffe is a breeding female. Addition tested for genetic diseases (CEA, CL, TNS, MDR1) with excellent results. Also with regard to kinetic system such as the hip (HD), elbow (ED) and shoulder (OCD) joints, luxation of the patella and testing of the spine (Spondylosis) is Coffe absolutely healthy with the results - negative. Coffe miss one teeny rear tooth M3. This, however, does not limit her in anything and it is not disqualifying defect which disabling from breeding or from exhibitions. Coffe also does not suffer from epilepsy nor skin disease CDA (Colour Dilution Alopecia). Also has excellent eye test results for CEA, PRA and Glaucoma. According to current information are not even burdened with Glaucoma the dogs in previous generations of Coffe's family tree. Coffe's family tree consists mainly of the English lines, it also appears the Finnish and the Czech line. In the family tree we can find many successful and beautiful dogs - International Champions, Champions and Champions of work. Mother Angie z Jabloňového dvora is sweet and active Border Collie. Angie has several exhibition success (2 x CAJC, Winner of Mlada Boleslav, Best Of Group 3). 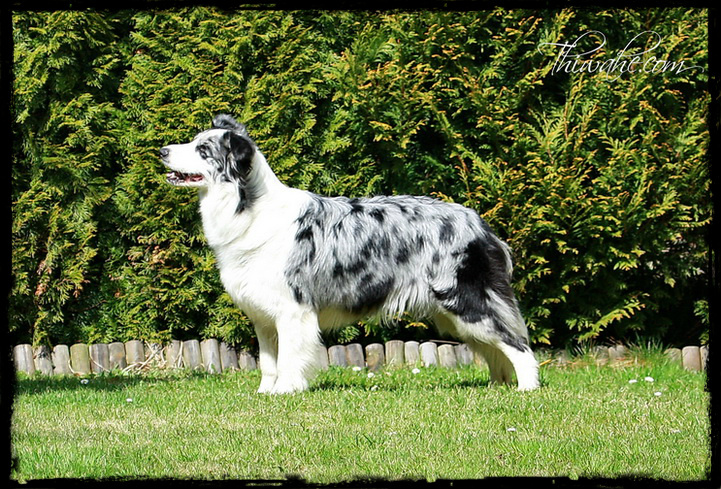 Coffe's grandmother Ch.Baby Pita Te Te henna is very successful in agility, she ran in the category of LA3. Also passed the Canis therapy test. Father Ch.Ghent Bohemia Alke runs agility in the category of LA2. Both have the test of ability in sheep herding. 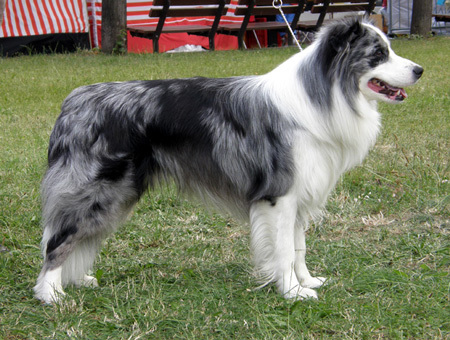 Father Multi.ch.Detania Victory (Gogo) was imported from England. 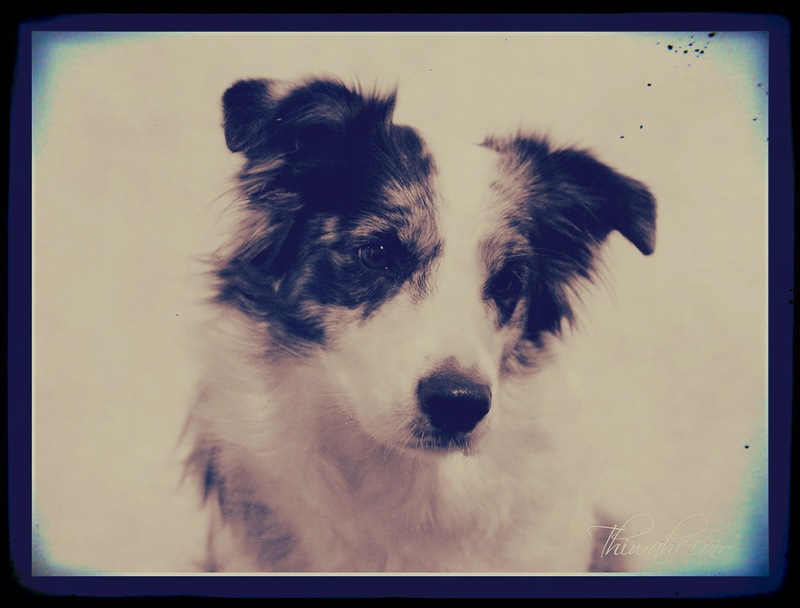 It's a great multi faceted dog. Gogo is several-fold champion and boasts many beautiful exhibition results. Also has a lot of work exams as IPO1, IPO2, ZVV1, ZVV2, ZUP S, SchH, and many others. 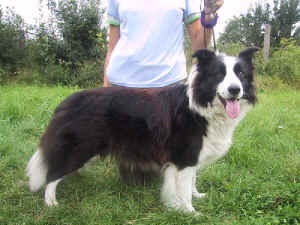 With his owner they dedicated to flyball where they have a lot of success. Gogo's mother Detania Florabelle Again comes from very successful breeding station in England. Father Claygar Boot Scootin´Boogie At Accra except the beautiful exterior and successes in exhibitions also passed the test of ability in sheep herding.